You're not likely to come to our site looking for a screwdriver. Or if you are, it's a very specific screwdriver you have in mind. Some folks come to us looking for a screwdriver that's just one small part of many-part multitool. 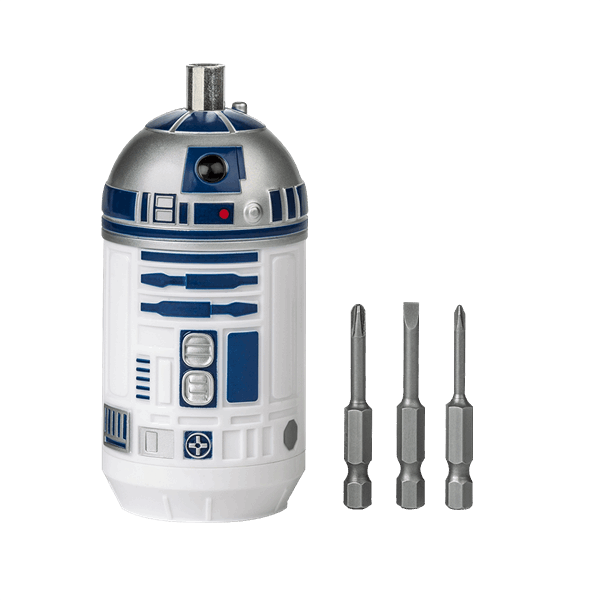 R2-D2 is basically the best multitool ever. So it comes as little surprise that he'd volunteer up his body to be the base of this screwdriver kit. 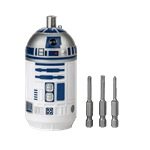 This Star Wars R2-D2 Screwdriver set includes 3 forged steel bits: 1 slotted and 2 Phillips-head. And you won't find him when you're walking the aisles of your local Home Depot, trying to figure out where the heck they put the screwdrivers.